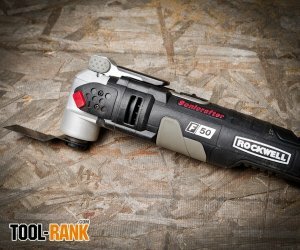 When Rockwell Tools announced their new F50 Sonicrafter I was really impressed with a number of the new features. What I was most impressed with was that it had a much larger angle of oscillation. 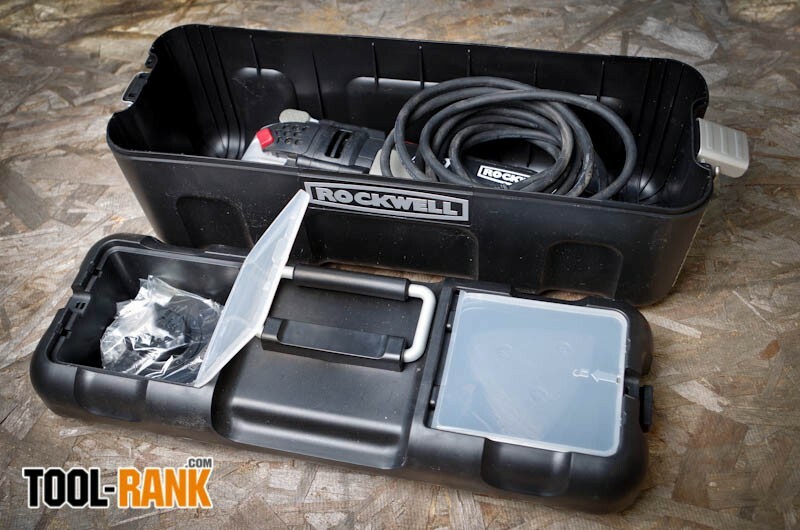 I had always figured that oscillating multi-tools would benefit from a larger oscillation angle, so when Rockwell asked me to do a review, I would finally have a chance to see if I was right. 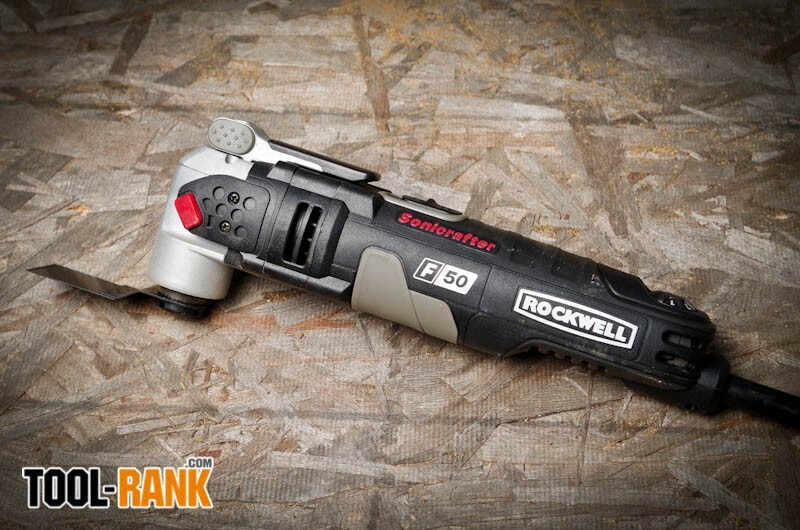 While most of the competing brands have an oscillation angle of about 3.2° or 2.8°, the Rockwell F50 comes fully equipped with a total angle of 5°. This means that when the blade oscillates back and forth, it is moving a greater distance than the competition; but is this a benefit, and if so, how? Oscillation tools have long been marketed as being able to do many things, one of them being sanding, but in my opinion they have never been good at it. My first test for the Rockwell RK5141K was to see if their 5° angle offered improved sanding capabilities. After just one test, I was able to see the difference, and it was impressive. Running the sanding pad over some rough mahogany was quick and effortless. 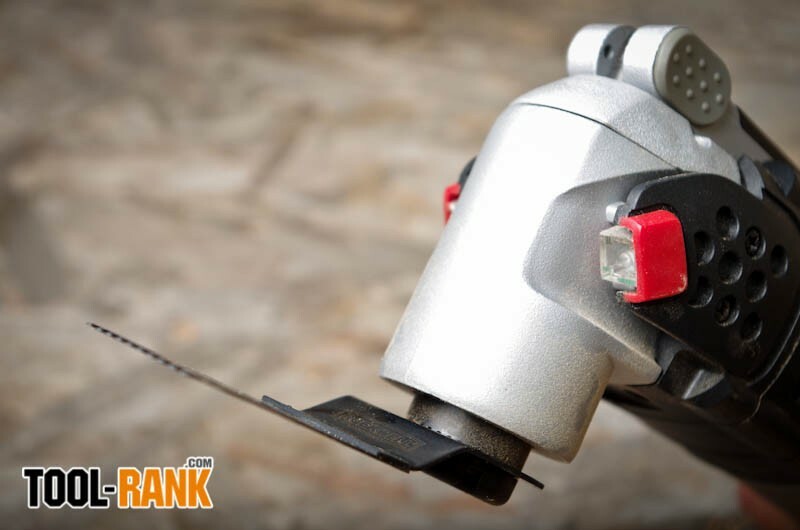 The larger motion of the sanding pad really does help the overall sanding process, by not only removing material faster, but also by helping to keep the sandpaper free from clogging. It was harder for me to tell if the larger oscillation angle helps with the plunge cutting process, but it does improve the abilities of the circular cutting blades, as well as scraper blades. 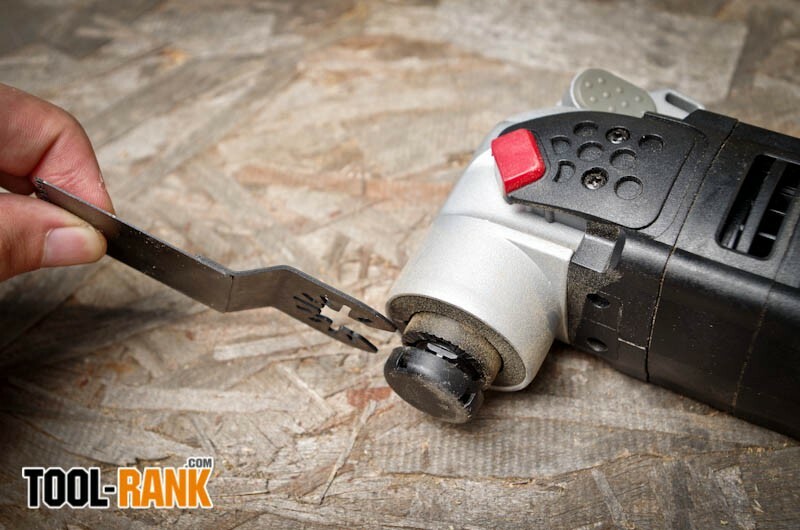 The feature that really helps with cutting is the powerful 4.0 Amp motor. Where another oscillating tool might bog-down while cutting through hard wood, the Rockwell F50 Sonicrafter cuts like a hot knife through butter. Even while sanding, I could put my weight onto the sanding pad, but I could not get it to stall. Rockwell says the motor provides a cutting load of 35 lbs, yet as I tried, I was not able to reach its limits. 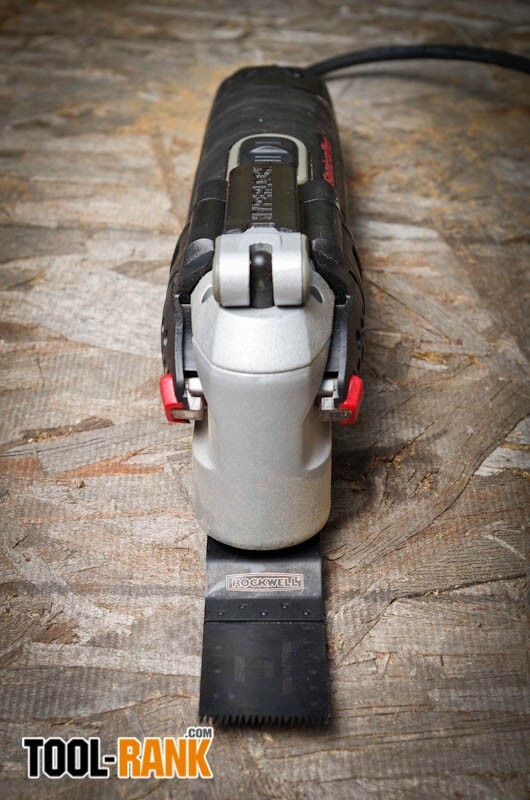 Another area where the Rockwell RK5141K shines is in vibration control and noise. 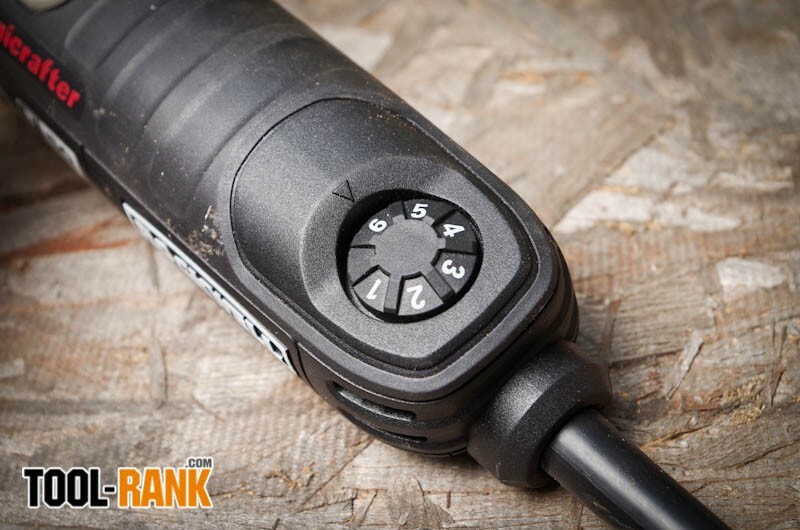 The multi-tool uses a counter-weight that does a remarkable job at reducing the vibration felt from the tool. I am not sure if the vibration reduction plays a part in the noise reduction, but again, compared to other oscillating tools I have used, its loudness is a lot less annoying. 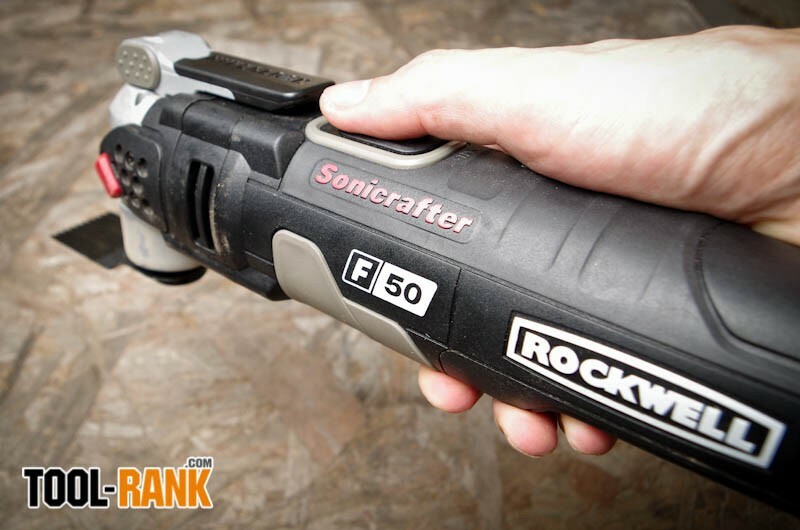 Rounding out the features of the Rockwell Sonicrafter F50 are the built-in LED lights that make it possible to see what you are doing if you are making a cutout inside a dark cabinet, and the tool-free Hyperlock & Universal Fit System that accepts other brands blades and accessories. 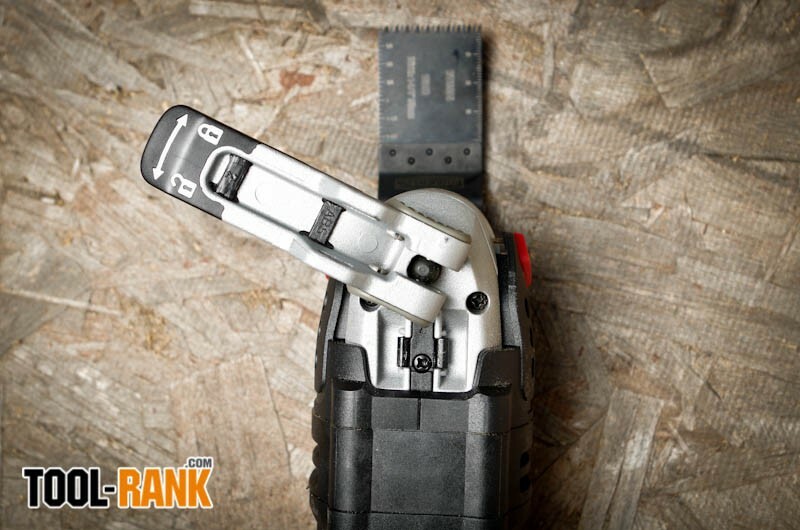 With what they say is 1-ton of clamping force holding the blade in place, you can use other brands accessories without worry of them slipping. 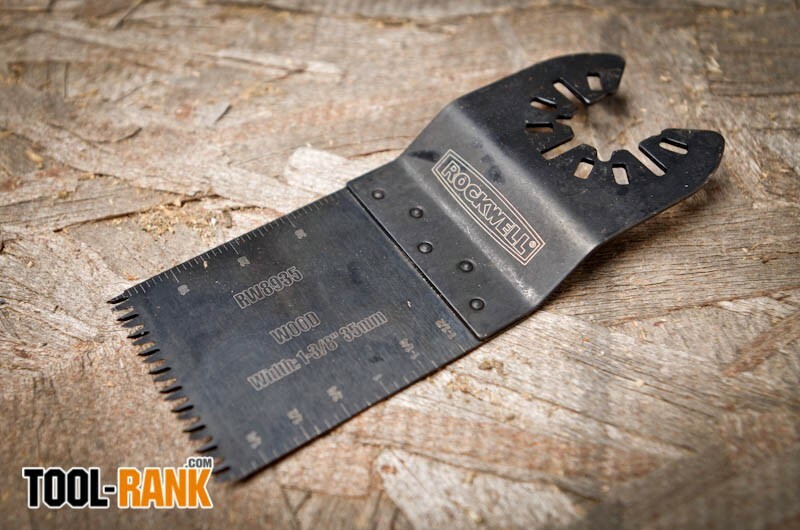 However, there is a speed advantage to using Rockwell’s own blades due to the fact that they have a notch that allows them to slip on without having to completely remove the blade clamping flange.